Bukit Lawang, the Orangutan Conservation Area in northern Sumatra. Bukit Lawang is located in Plantation Village Bukit Lawang, North Sumatra Bohorok. This place has its own mascot, namely the Sumatran orangutan. 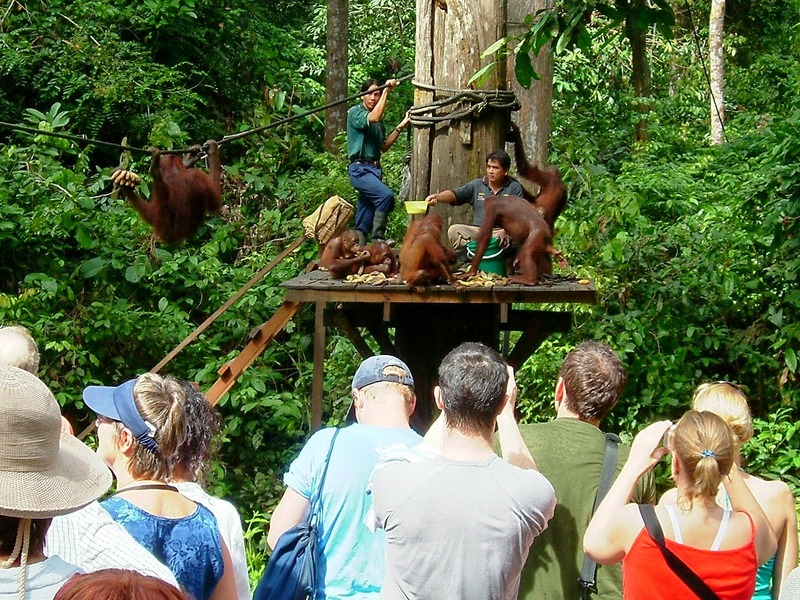 There are about 5,000 orangutans live in the area of Bukit Lawang. 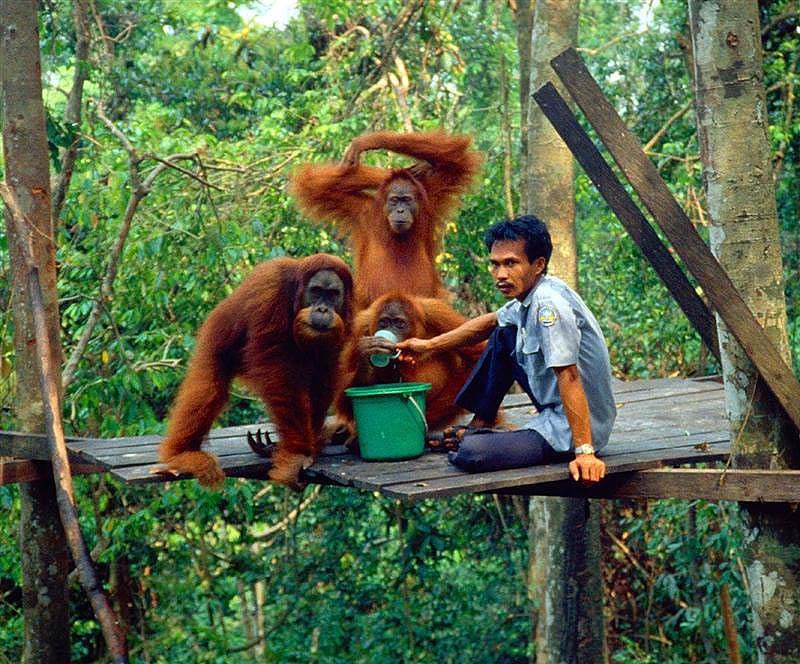 This place has become orangutan conservation area since 1973. The purpose of the establishment of this place is to prevent the extinction of orangutans due to hunting and the destruction of forests by parties who are not responsible. This area has an area of 200 hectares. Initially, Bukit Lawang is an orangutan rehabilitation center. But along with its development, this area is developing into Observation Center or the Sumatran Orangutan Viewing Centre. Currently, the Bukit Lawang become a tourism destination in North Sumatra visited by domestic and foreign tourists. The place is usually crowded during the holidays arrive. Besides orangutans, very beautiful natural scenery. In the forest, there Bahorok river that has water is very cold. From here you can also see the green Bukit Barisan. 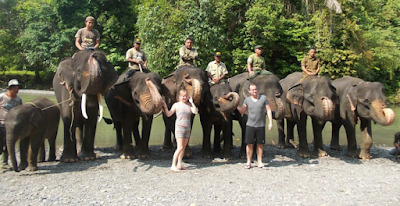 Another name of the Bukit Barisan is the Gunung Leuser National Park. 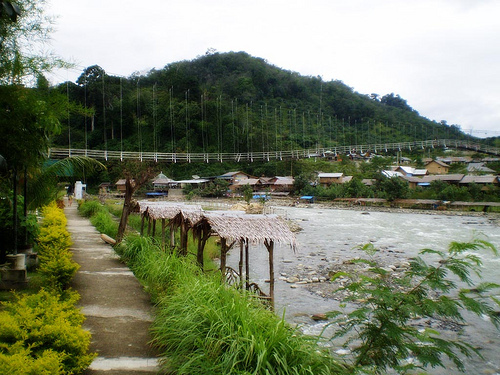 Trekking is a mandatory activity that you should do during a visit to Bukit Lawang. Because of Bukit Lawang, which is part of the Gunung Leuser National Park has a hilly land. So, trekking you do will be full of challenges. In addition, the soil conditions in the region are also likely wet and muddy like the type of soil in tropical rain forests. Adventure through the forest so very enjoyable. Plus, the tree in this region is also high and big that makes the atmosphere felt in the jungle. If lucky, you can see the Rafflesia Arnoldi Flowers are blooming, can reach three meters in diameter. 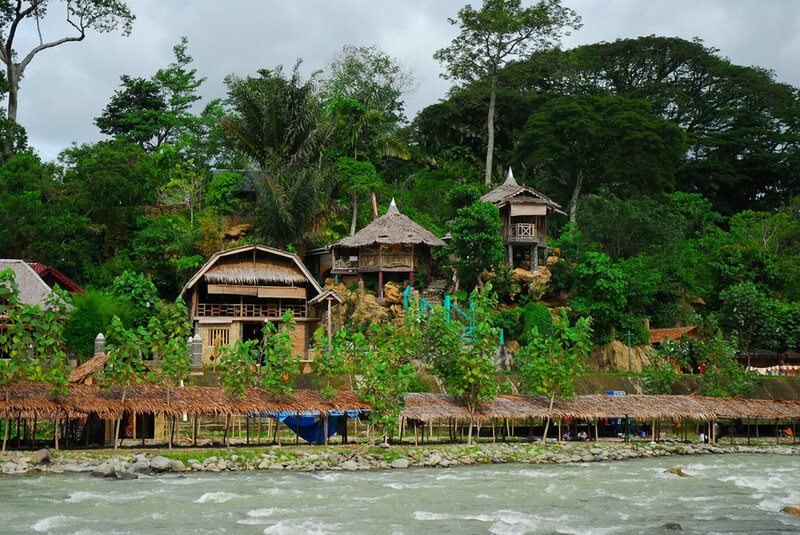 Just like a national park, Bukit Lawang is also a habitat for a variety of animals that live in the wild. When you are trekking through the forest, do not be surprised if you see a lot of animals. For example, the orangutan, Sumatran tiger, the Sumatran rhino. Additionally, you can also see the original shape of the Sun Bear that was very like to eat fruit, not honey. To be safe, you should maintain a distance with the wildlife. Because the principle, if they do not feel disturbed, they will look calm even do not care about our presence. If it had been viewed orangutan were swinging freely at the top of the tree, it turns out you can be closer to them. Each morning at 8:30 and 15:00, the guards will give dining area orangutans at the feeding station, then we can go try to feed the orangutan. Tubing is water such as river rafting, but the boats used are tires, and could only ride for one person. Due to the location of Bukit Lawang near Bahorok river currents and swift river currents, this tour is suitable for you who like the game of adrenalin. 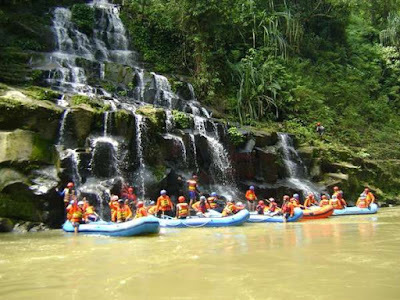 At an affordable cost, we can rent an inner tube and one guide for this tour. Tubing is water such as river rafting, but the boats used are tires, and could only ride for one person. 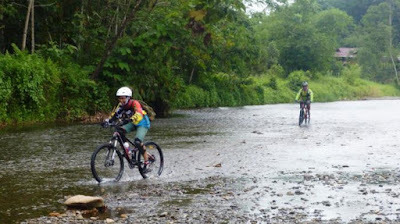 Due to the location of Bukit Lawang near Bahorok river currents and swift river currents, this tour is suitable for you who love the game of adrenalin. At an affordable cost, we can rent an inner tube and one guide for this tour. 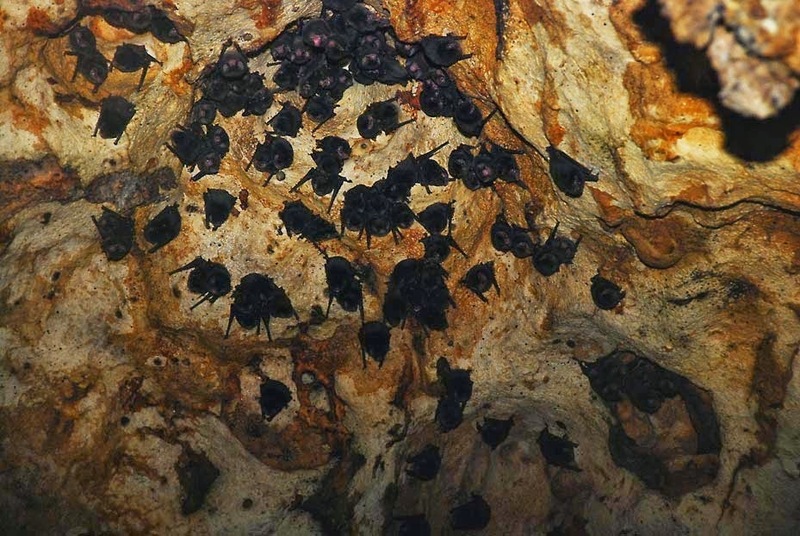 In Bukit Lawang, there is a cave, which contains thousands of bats. 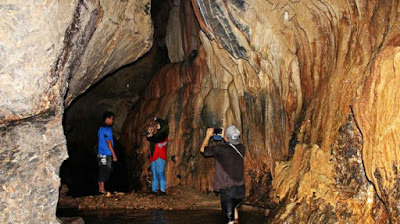 Distance Bats Cave at the entrance of Bukit Lawang is a 15-minute walk. Inside the bat cave was very dark so it is advisable to bring lighting equipment when signing the Bat Cave. In it, you can witness the phenomenon of sky cave that looks fluffy, it is a group of bats pretty engrossed sleep. Also, you can feel the sensation of singing bats, dripping noises Bahorok river, and a definite odor typical bat. Main water in the tubing so Bahorok when complete when followed by a bath in the waterfall! Here, there is a waterfall that you can reach effortlessly trekking in advance. Waterfall in this region is very beautiful and the water is very cool. The currents also very quiet so you can swim and unwind. 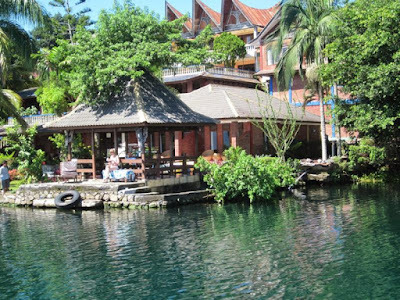 Accommodation in Bukit Lawang quite complete. Some lodgings can be found here include Bukit Lawang Cottage and Rindu Alam Hotel. Most lodgings wear the principles of eco-lodging, means that a stay is made to blend with nature, such as beds made hanging. 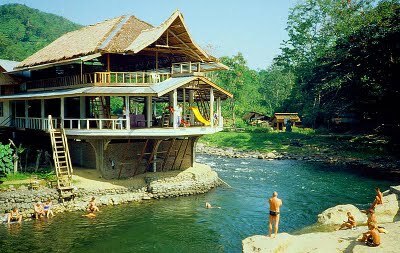 It is on the veranda so that when the rest you can directly see the beautiful area of Bukit Lawang. Other facilities available include a camping ground, restaurant, visitor center, viewing centers, terminal. information boards, walkways, etc. Future tourists visiting this place is usually 2 to 3 days. Bukit Lawang is one of the natural attractions in Langkat, North Sumatra Province, located 68 km northwest Kota Binjai and about 80 km northwest of the city of Medan. 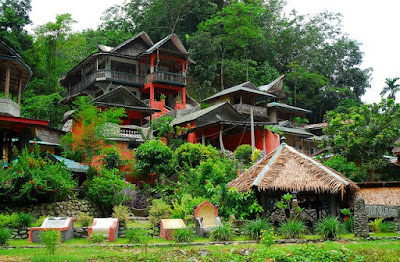 Bukit Lawang, located in Langkat Hulu, Langkat district of North Sumatra Province, Indonesia. Precisely, in the District of Bahorok. 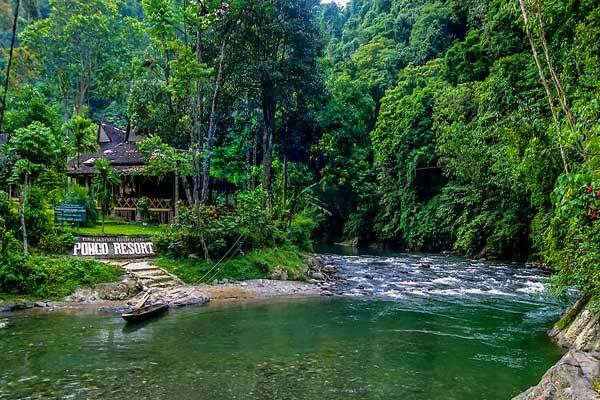 Bukit Lawang is included in the scope of the Gunung Leuser National Park which is an area famous tourist attraction river and key conservation Sumatran Orang Utan.